DualEnroll.com helps Dual & Concurrent Enrollment programs serve more students with fewer resources. Yes, we admit it. We think enrolling in courses ought to be as easy as buying something on Amazon. So we designed our course finder and shopping cart to be just as easy. DualEnroll.com was designed for ease of use. 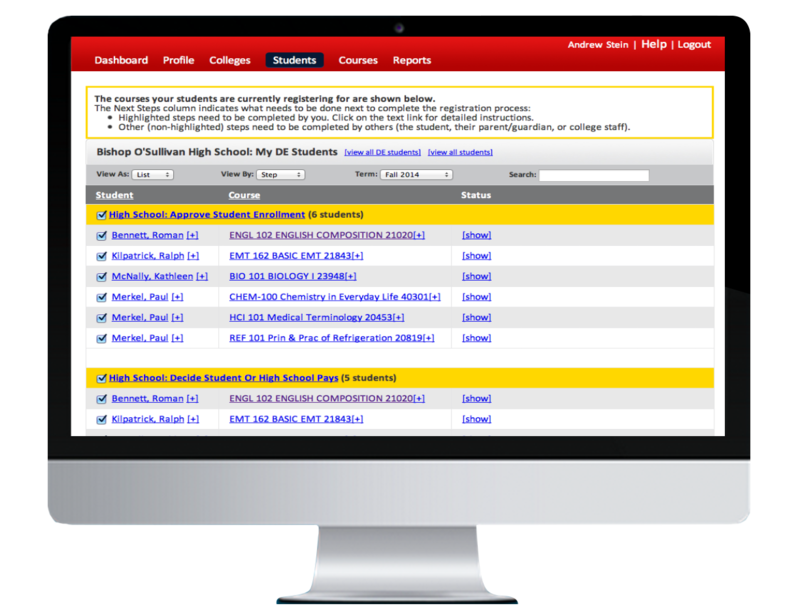 Configured to match your school's unique process, our wizards take the guess work out of getting started. We believe you should know exactly where everything stands all the time AND have the ability to proactively manage your program based on data-driven insights. DualEnroll.com is a product of CourseMaven, an educational technology software company located in the Washington, DC suburbs. CourseMaven was founded in 2009 by a team of software industry veterans with extensive experience in higher education. Our CEO, Janet Van Pelt, previously founded Echo360, the leading provider of enterprise lecture capture in higher education now deployed at over 800 colleges and universities worldwide. Based on our understanding of the college environment, we recognized that legacy student systems weren't designed with the needs of dual/concurrent high school partners in mind. 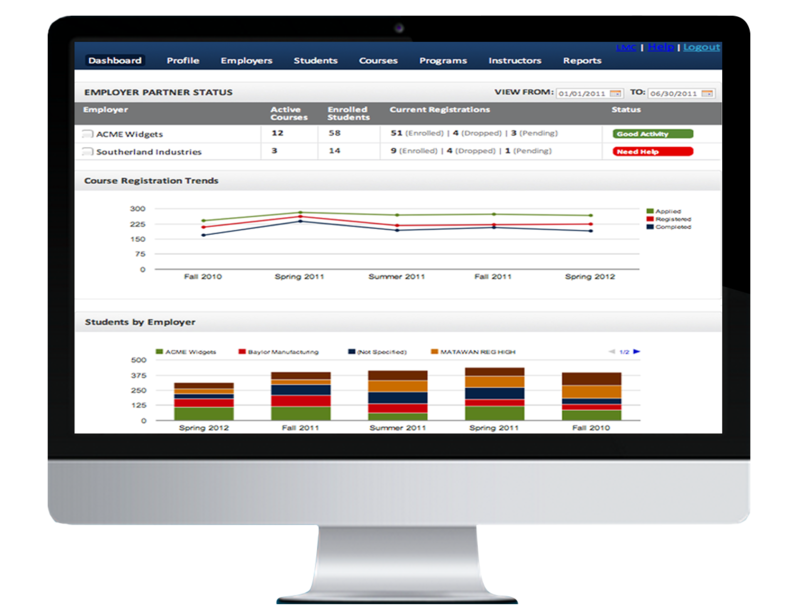 Our cloud-based platform combines an intuitive user interface with a highly configurable workflow engine that seamlessly exchanges data with student systems as necessary. 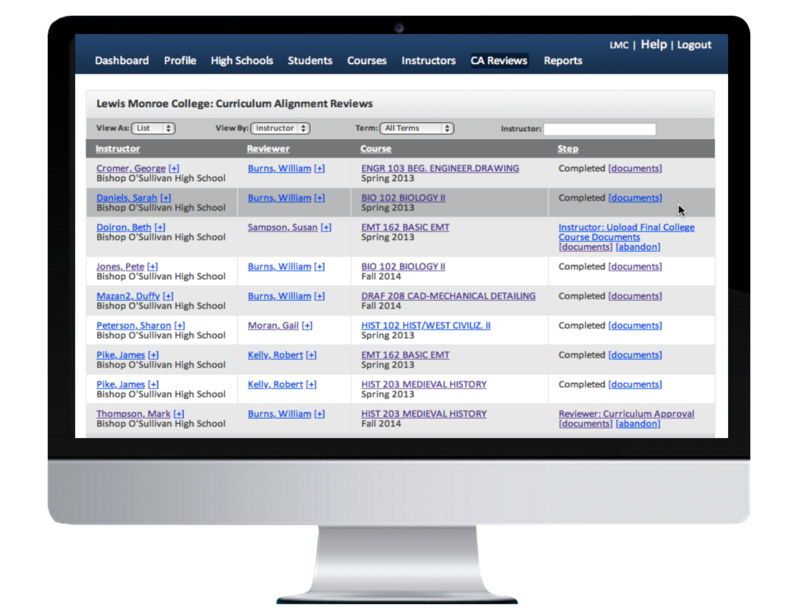 This allows colleges to create an efficient and intuitive user experience for students, high school partners and internal staff while maintaining the integrity of the student system as the system of record where required. DualEnroll.com has been adopted by a wide range of colleges including Boise State University, La Roche College, Missouri Southern State University and the College of Western Idaho. Our cloud-based architecture and highly configurable platform provide the ideal combination of flexibility to meet the unique requirements of every institution with incredibly affordable pricing. No consulting/profession services are required, and the annual licensing costs scales with volume, making it affordable for any size program. DualEnroll.com runs on Amazon Web Services, a hosting platform trusted by organizations including the Central Intelligence Agency, Centers for Disease Control, Adobe, Dow Jones, FINRA and Expedia for its security, reliability, and scalability. We use the Salesforce.com/Heroku administrative toolkit to manage our AWS environment and our technology is built on the modern, flexible Ruby on Rails technology stack. 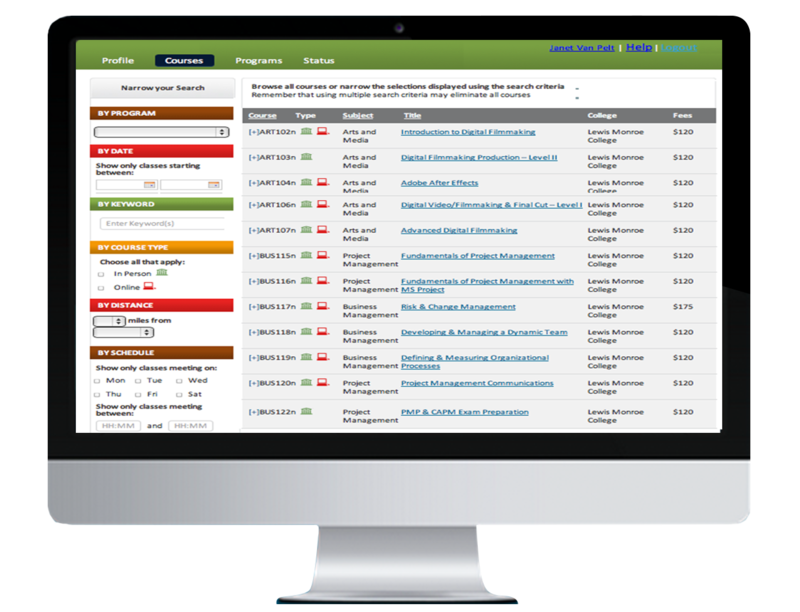 DualEnroll.com utilizes a standards-based data exchange process to integrate as needed with your Student Information System. We know you’re skeptical—every college has at least one horror story about trying to get a third party system to work with their SIS. Our reference customers will gladly confirm that the SIS handshake was minimal work to set up initially and works seamlessly once in place. We completely understand that every college has unique requirements about how their dual enrollment program presents courses, registers students, and interacts with high school counselors and staff. Our platform was designed from the ground up to be fully configurable, which enables DualEnroll to support those requirements with ease. DualEnroll.com justifies its cost in three ways. Hardest to quantify are the intangibles--an intuitive, automated process makes a better impression on students, and our high school support differentiate your college as a preferred provider of dual/concurrent enrollment courses. Second, DualEnroll.com significantly reduces the cost of running the program by eliminating manual work and helping you manage the course provisioning process with high school partners. Our analysis shows that colleges spend between $10 and $17 to manually process a registration versus $3-$5 with DualEnroll.com. 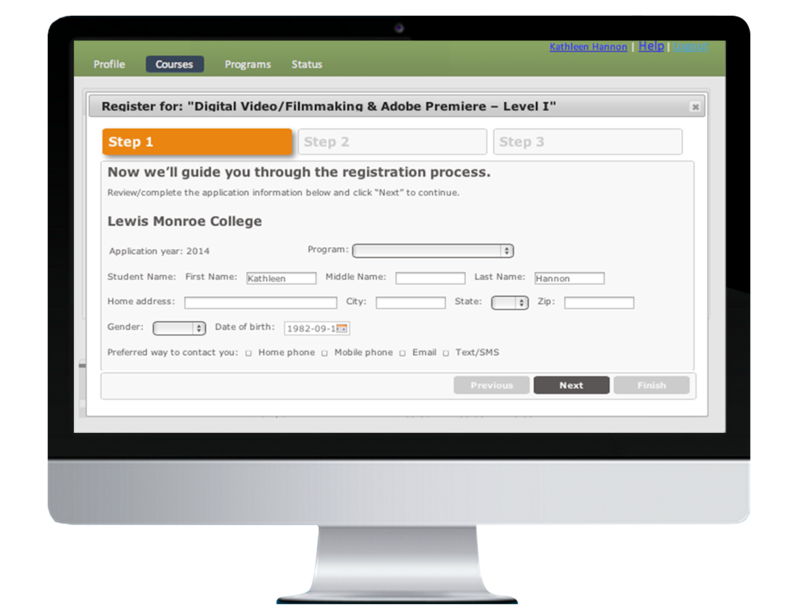 Last, DualEnroll.com increases participation--features like an integrated course finder, online registration and payment, and reminders/alerts ensure that more students complete the registration process.